Hello beauties! I bet that most of you have already hyped by the euphoria of Jakarta Fashion Week 2014 held in Senayan City this week! 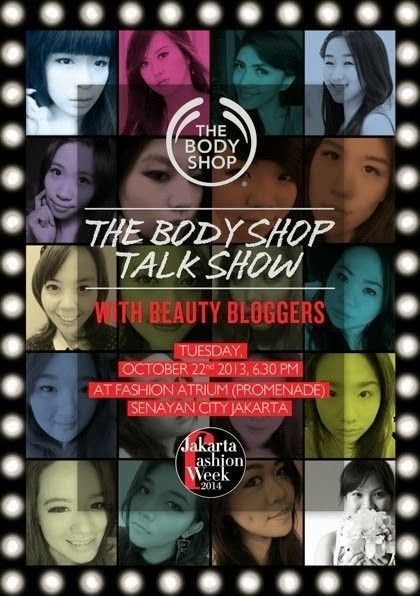 I am so lucky to join one of the event which sponsored by The Body Shop Indonesia; The Body Shop Talk Show with Beauty Bloggers. Me and other 19 fellow beauty bloggers will gather and experience the latest collection from The Body Shop: COLOUR CRUSH. 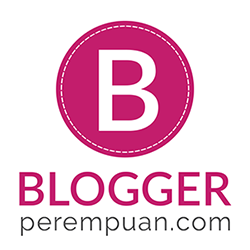 So in case you haven't heard enough about COLOUR CRUSH, let me tell you a bit more! So this collection comes in two products; eyeshadow and lipstick. Colour Crush collection is a fashion-forward palette of mono eyeshadows in a full array of the season’s must-have stand-out shades. Beautifully wearable, the lust-worthy line-up ranges from elegant beiges to shocking brights in a mix of pearly and matte finishes. Incredibly blendable and buildable, these intense shades can be applied wet or dry and worn alone, together or layered, creating a myriad of looks from daytime chic to full-on night-time glamour. Go ahead and play with colour! This luscious lipstick gives a stunning pop of colour and rich moisture, infused with a subtle rose scent. Nah, enough with the product information and knowledge, let's try it! So, me and other fellow 20 beauty bloggers gathered in The Body Shop Store in Senayan City for this exclusive experience. I came with complexion done, only need to decorate my eyes and lips. As for the lips, I am tempted by this Coral Cutie, I am always weak when it comes to tangerine lips!